I thought your chipping came out very well, the whole things looks much better than its humble origins suggested it might. I see the finish is satin with a sheen. 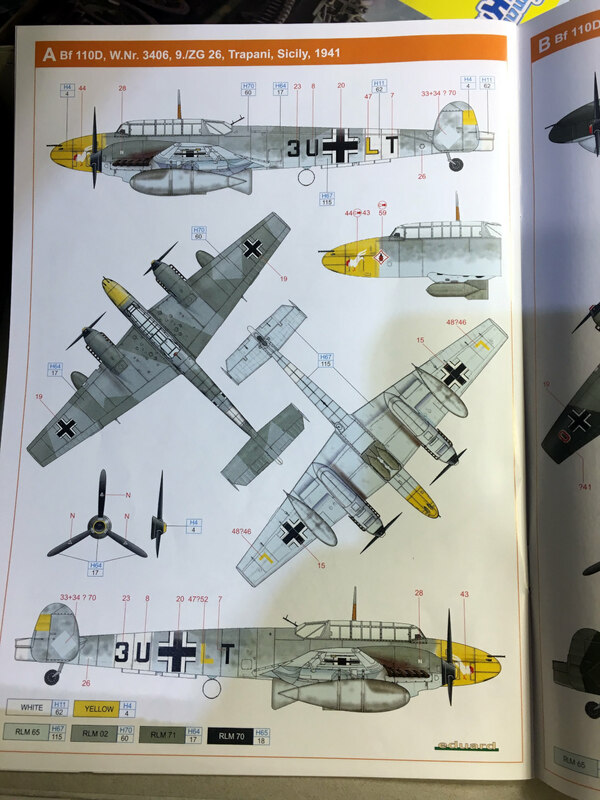 Is this the way the real aircraft looked? I have read that Japanese crews wiped down aircraft on carriers with some sort of oily/waxy product that gave the paint a slickness that was intended to boost speed. Very good job Paul! The decals have been wonderful. An interesting vision for the streaking effects. 1. 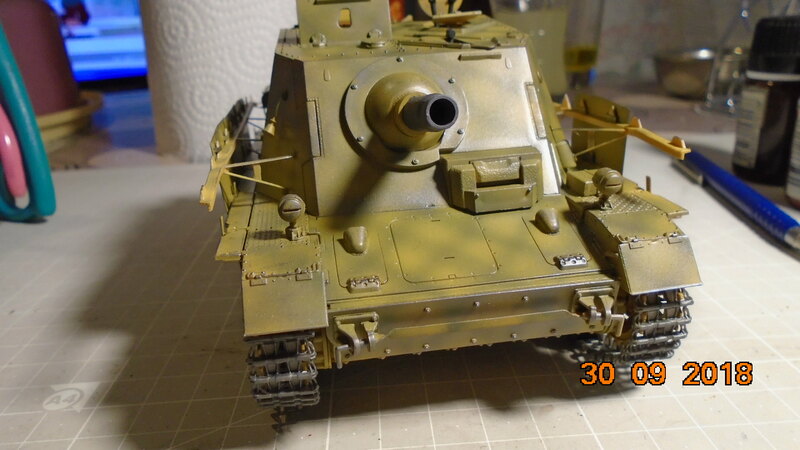 The machine is assembled and painted with the basic color. 2. 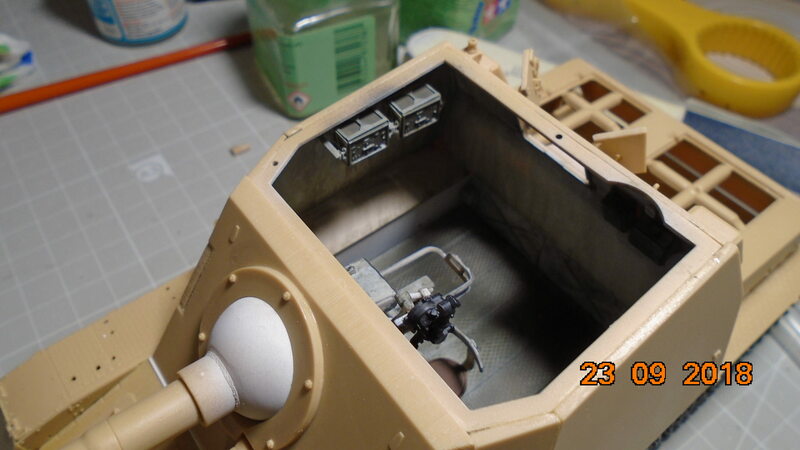 The interior of the battle part is completed. 3. 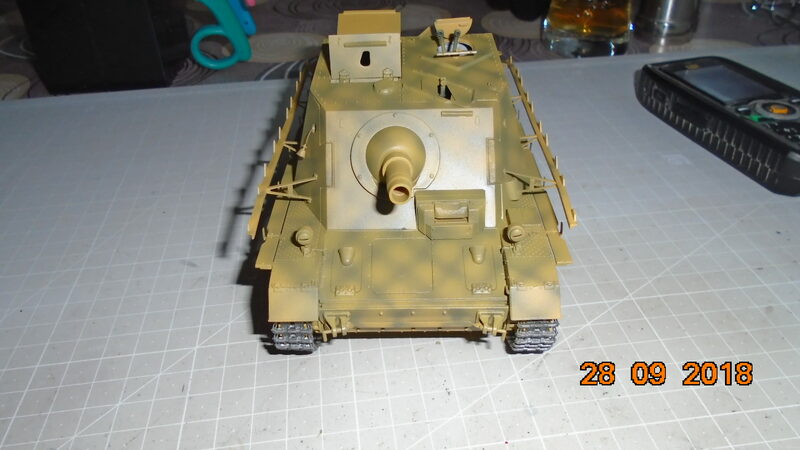 It is left to make the "schuerzen" and the camouflage. Here are photos of work progress. Gabriel, I like your Romanian Heinkel. Kalin, nice job on the interior. A little update on the Mk. VIII Spit. Putty, sanded and now to attach the canopy which came in 3 pieces (I like one piece) then tape the canopy frame and prime. Wow! That Brummbar looks amazing! Little bit of work on my Kelly. Built some of the superstructure parts and assembled the hull and decks. I had to glue some plastic strip on the inside of the hull to stop the deck pushing in and ensuring a flush fit. 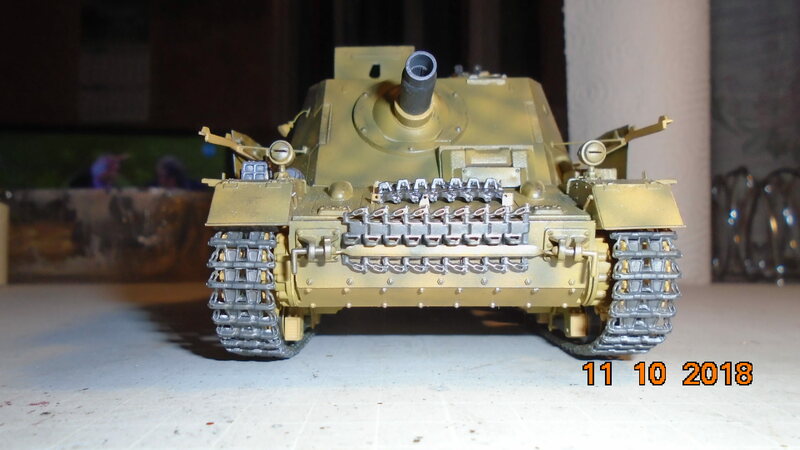 I used Tamiya duper thon liquid adhesive for this. First time using it and I was very impressed. I've also trimmed off the aztec steps ready for replacing with etch ladders. On the subject of etch, how exactly do you attach railing at this scale? Would pva glue be a better option? Here's the progress on my project. I did the camouflage and put the decals on him. The inventory remains on the fenders. Then, before I finish, I will follow him on his wartime exploitation. It's been a while and I regret not commenting sooner. So many a nice builds going on here! To comment on them all would take most of the page, though Gabriel your Stuka is wonderful, and in 1/72. The amour models are impressive, Kalin the interior is something to be proud of, not to mention the exterior! So many great things going on here. I knew that that the MTO group build would fabulous, but I had no idea that it would be so diverse, even a ship build!! I've not been idle over the past 2 months, though my computer has indicated that perhaps I made a poor choice in service providers. But, here there's only one, so I get what I get. For those unfamiliar with the Revell B-25J, let me give a quick background. 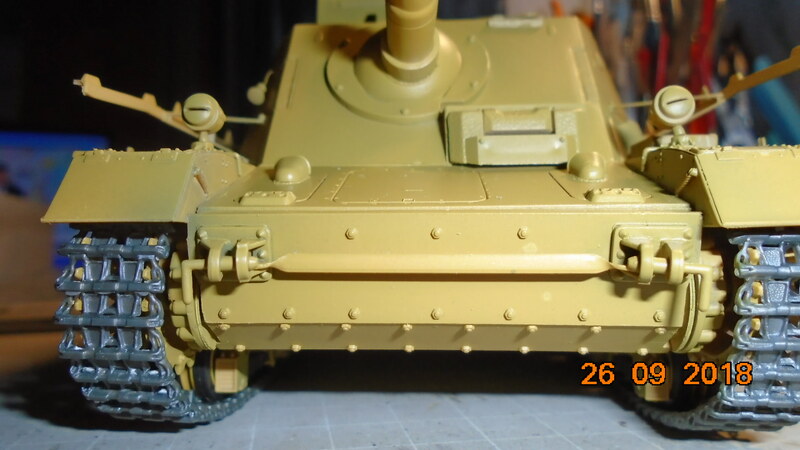 In the US, the Monogram and Revell companies were constantly duking it out. Over the years Revell proved to have the better business model, as opposed to the better model. Monogram has graced the modeling world with something that few manufactures would of, or have done. Provide us with BIG models! While the B-25J isn't all that big, it does have a size, and to date nobody else has made the later variants. 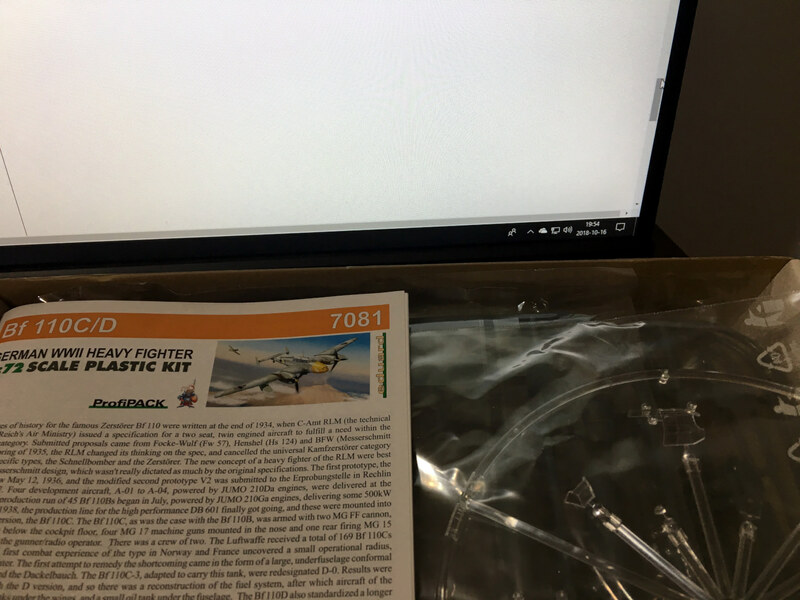 So if you wish to do a J in 1/48, this is the game. And it's a good game. This is a good kit despite the 41 years of production. A bit of a background. Monogram released the B-25H in 1977. This is the basis for the J model. In 1981 they released the J with options for the strafing version or straight bomber, and parts for other options. Decal options always included the "Air Apaches" and another from the Corsican 340th. In the late 90"s (me thinks 1996) they released the Pro-Modeler version that had PE and flattened tires. 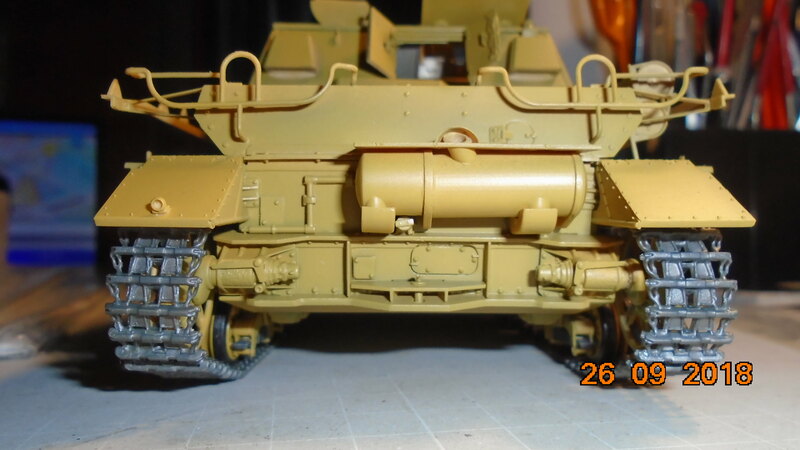 Subsequent releases by Revell are of the Pro-Modeler version without the PE, and are molded in grey. 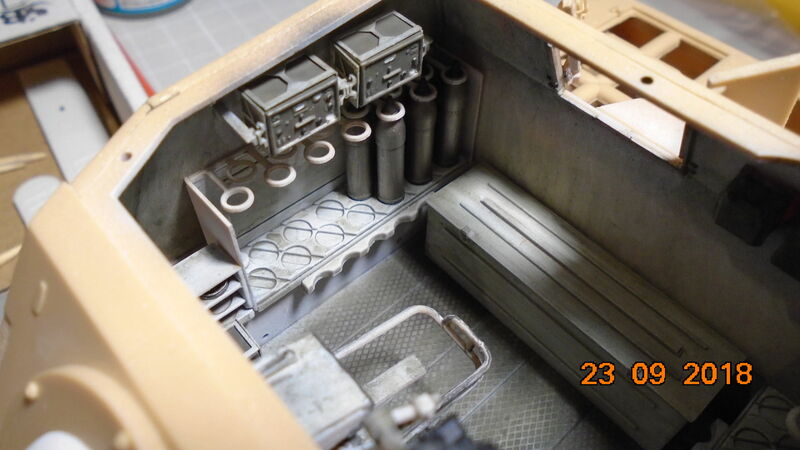 Yes, the kit molds are showing their age, yet it builds into a nice representation of the B-25J. I shifted from the cockpit interior to the wings mostly due to holding on a set of seats. Initially, I was going to go straight out of the box, but after paying the most for a set of decals to date (21.00 USD), frugality was out the window! I wanted this one to look sharp and used. So, off to the wings I went. 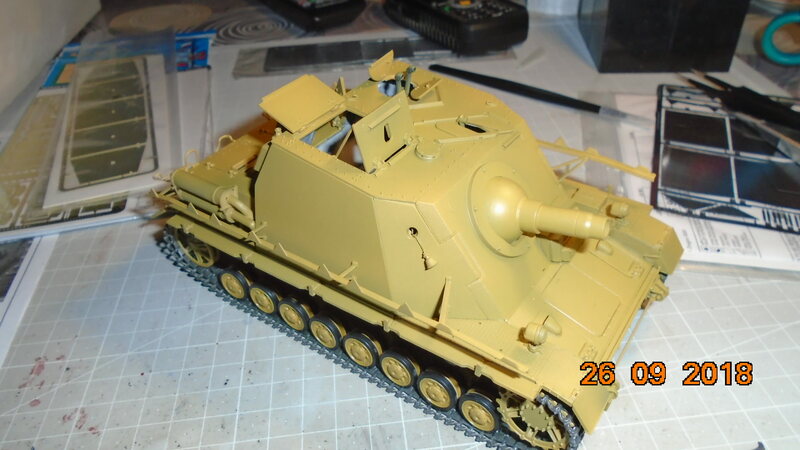 This kit goes together quite well, though there are a few places that need a bit of help. The nacelles don't come together, which causes a few other fit problems. Having built on this kit twice, I was determined to make the third time a charm and finish it! At this time I also added 0.2 inch sheet between the nacelles themselves to give a wider fit. This alleviated the gap that would have resulted on the wing undersides. Know that I do tend to go out of my way to avoid filling, so spacers, and inserts, if allowable will happen! The fairing at the end of the nacelle is less than banner. I added sheet to fill the gaps and then used Mr. Surfacer 500 to resolve the rest. I liked how it came out. Of course I didn't forget about the weight to prevent a tail dragger. 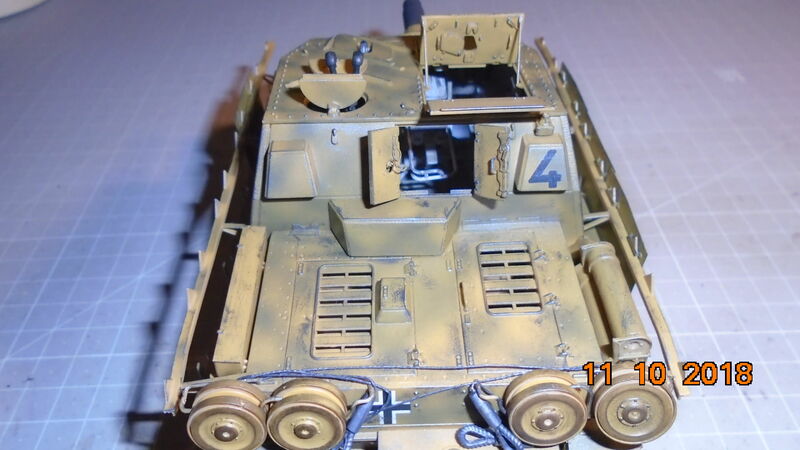 Though, the kit does come with a step ladder, and a boarding hatch that when assembled does omit the need for nose weight, if you don't mind step ladders. I also found myself having to add the left over weight into the nacelles. The only other area that was of a concern was the matching of panel lines. 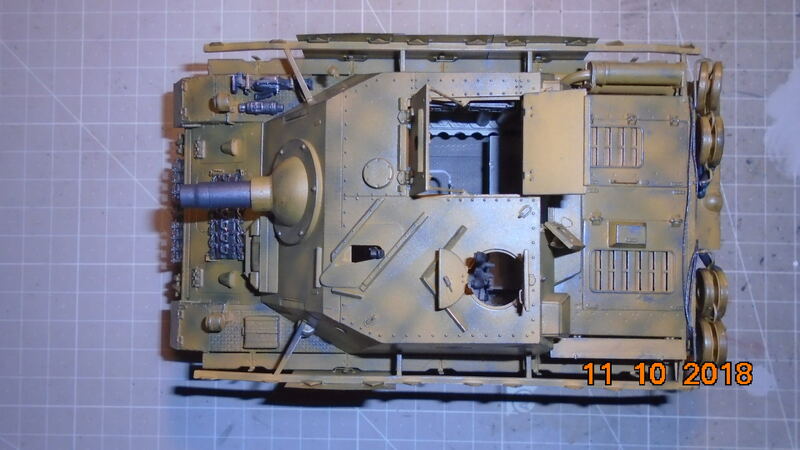 While many like to sand and scribe new lines, it should be known that B-25's had lapped panels, so the kit is accurate on this, also, the dorsal turret was not painted, despite the instructions. 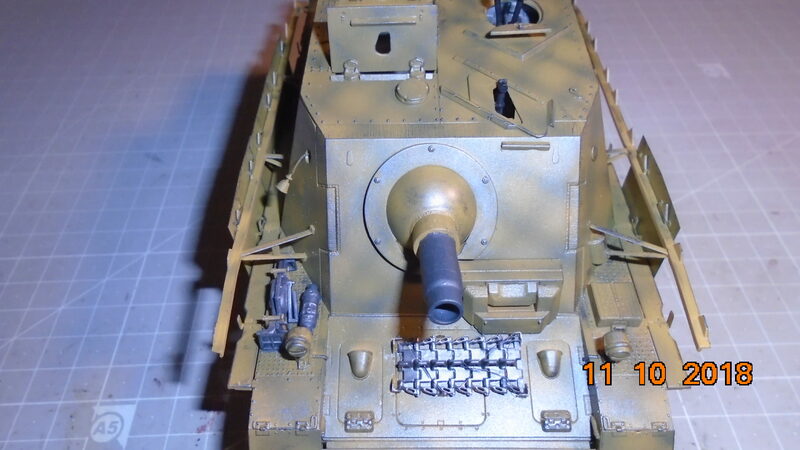 When in production the dorsal turrets were laminated plexiglass in the shape molded. No painting is needed. 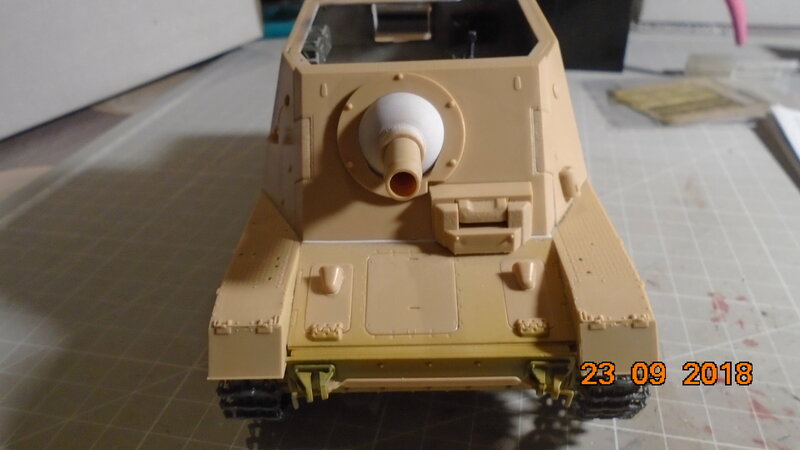 What is needed, is some white glue in the slots for the 50 cal. gun barrels! 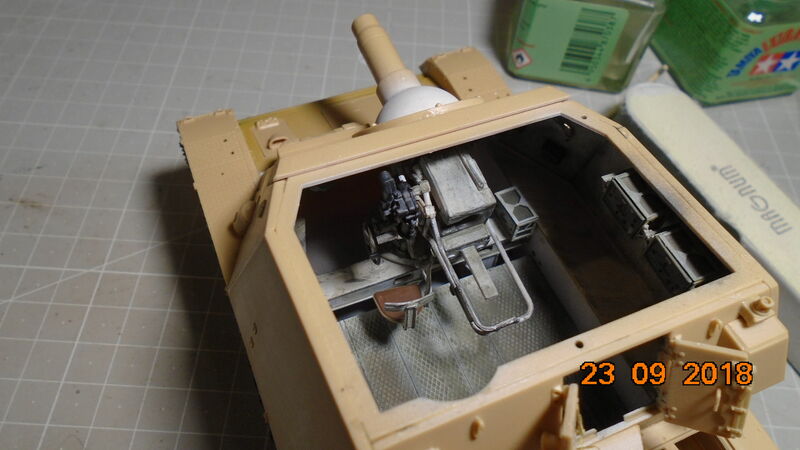 Assemble the turret as per the instructions, hit it with white glue and when dry, paint the white glue olive drab. If you haven't seen it, do. The olive drab cloth has zippers that allow the barrels to raise and lower without being disconnected. I imagine the crew chief liked it as there was less dirt and dust to deal with! To close the fuselage, one can remove the alignment pins and match stuff up, or do what I did. I removed a pin from the front top, and one from the bottom rear. This allowed me to align the kits panel lines. I then used Tamiya extra thin cement to tack the halves together. Satisfied, I then used super glue to bond the halves. A little note here. I use the cheap super glue (0.25 USD/20 g). I have found that upon opening it, it will thicken over the course of a month and yields what one would pay a small fortune for at the local hobby shop. Thank you Paul Hawkie for that tip. It really works, unfortunately for me, I had to open another bottle for the B-24! Oh well! I was about to put the glass on, when I noticed that the seats were going to be noticeable. 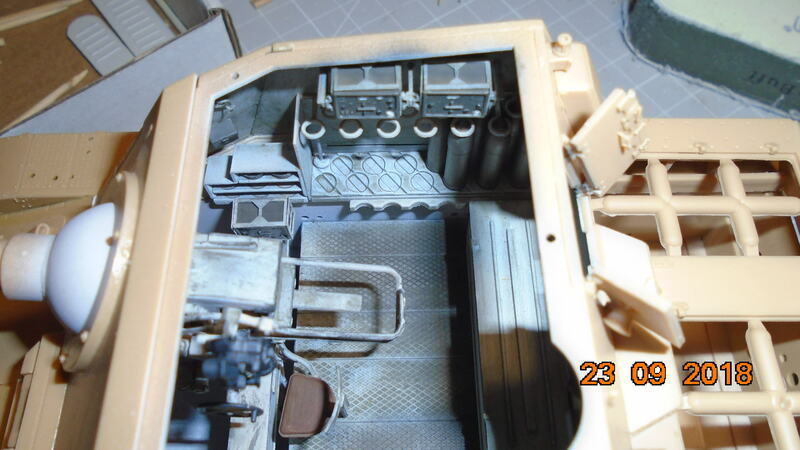 This was just after dry brushing the instrument panel with some silver, due to it not being readily visible. I was fortunate enough to find a set of seats for 6 USD online, and when they arrived, I proceeded to paint the bases. While I languished about yellows, and or what the cushions should look like, the overspray from the base coat solved my problem. I really liked how they turned out. Sometimes when you're not trying it does work out! At the end of the day I had a very nice B-25J ready to be painted. 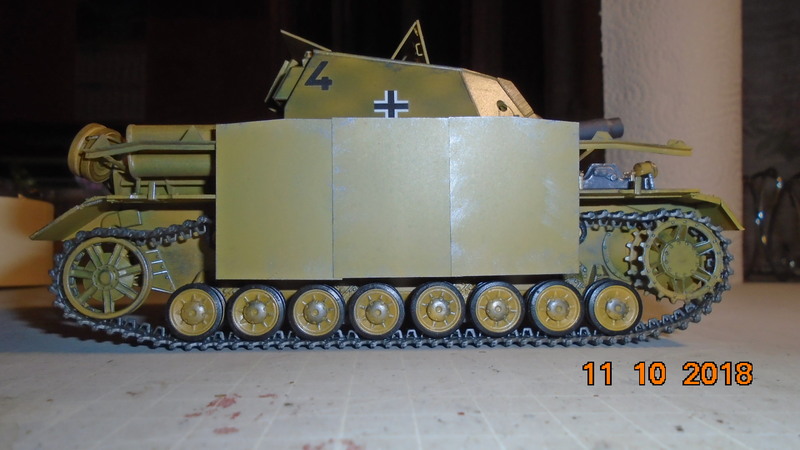 I did do a bit of pre-gloss using Tamiya black to make sure that the seams were taken care of. Additionally, I took my time to allow for a natural metal finish topside, as I planned to chip the RAF dark green up. 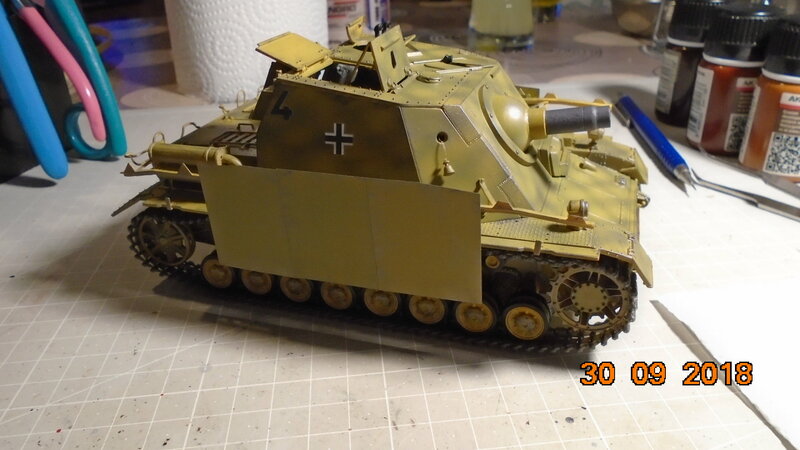 Up next, Painting and a bit of weathering! Till then, have fun. This has been a fun kit for me!!! 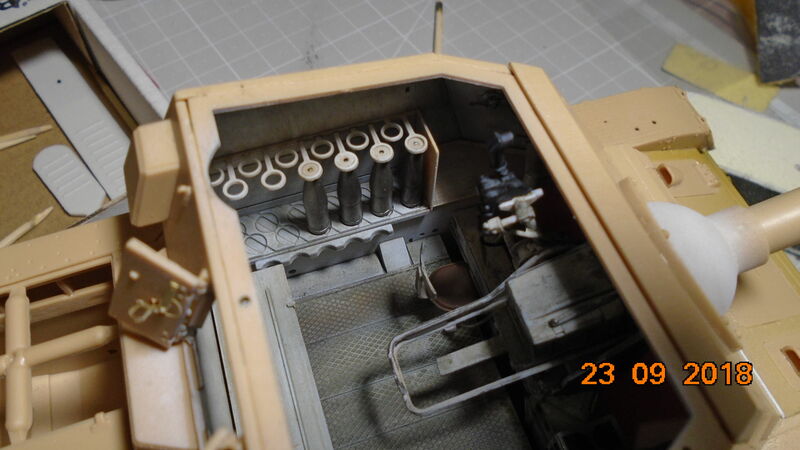 here's another Mitchell coming up, in the small scale (1/72) by Hasegawa. Nevertheless it's a fine kit and I look forward to the next steps. 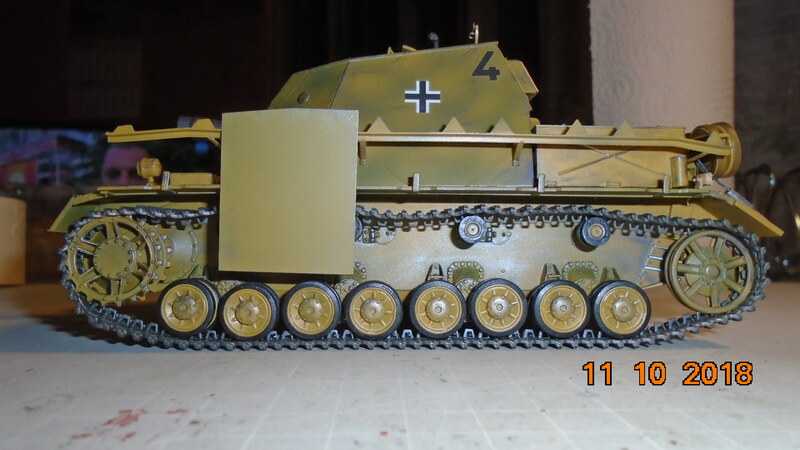 Great finish on Your Stuka.You build the old kit really great! I agree on Your opinion concerning a too dead flat finish. I ruined some models this way myself. Still looking for the perfect flat finish. Pedro: The working place of the Messerschmitt looks fine! The opened filter looks great, too! 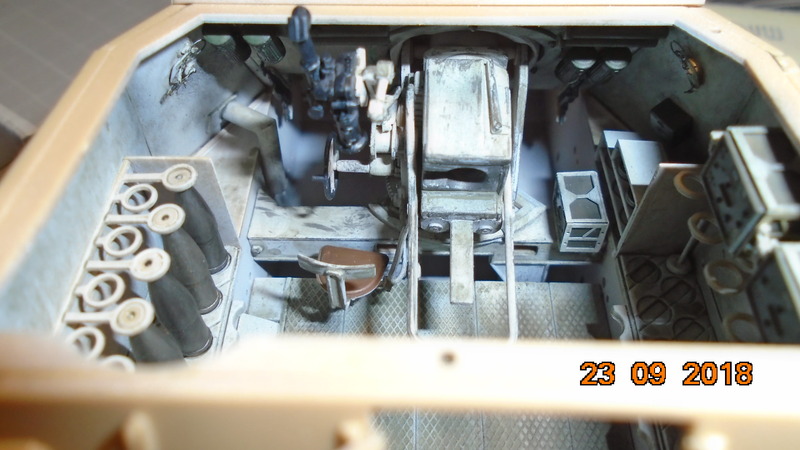 Willard79: Great cockpit work as well. 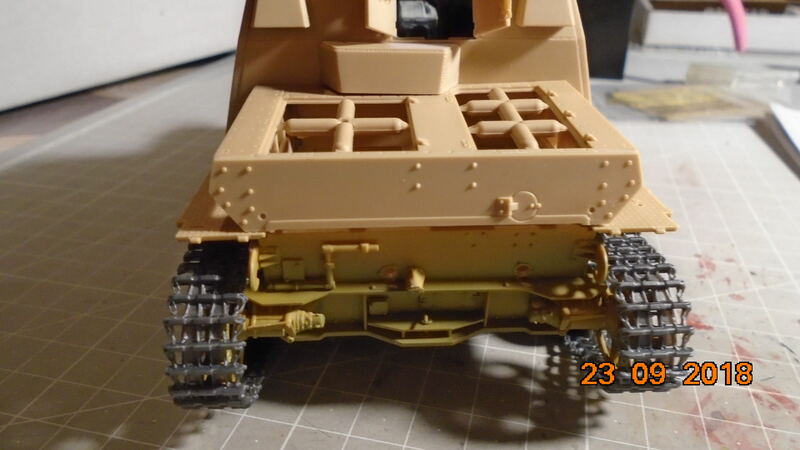 Did You paint the seam line onto the straps? Looks great! Peter: Nice choice and start on Your B-25. Thomas: You put a lot of great work in Your Thunderbolt. Looks good already now. Those tiny lights look fantastic. Paul: The dirt job on the M3 looks good! Bob: Nice progress on Your Spit! 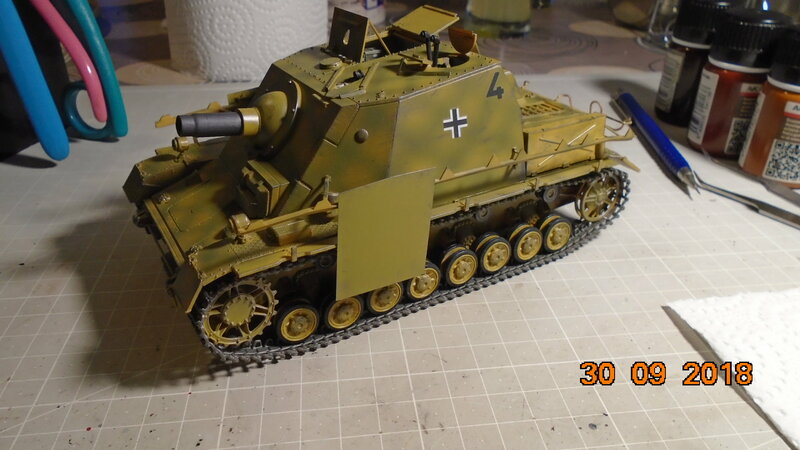 Kalin: Wow, that Brummbär is really cool. I just love Your work on the interior! John: This was really heavy work. With all this weight, You probably don´t have to flaten the tires . 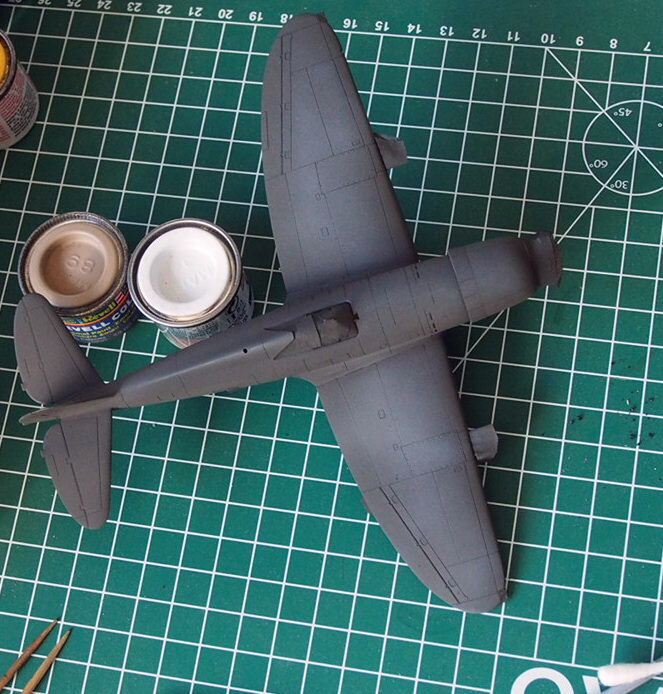 I'm closing in on actually painting the 1/32 Hurricane IID. Hope springs eternal! Sorry, but I have not seen the beginning of your work. It looks impressive. I see that you made an early version, repaired in Africa, but it is strange to me the color. Would you say what color you used. 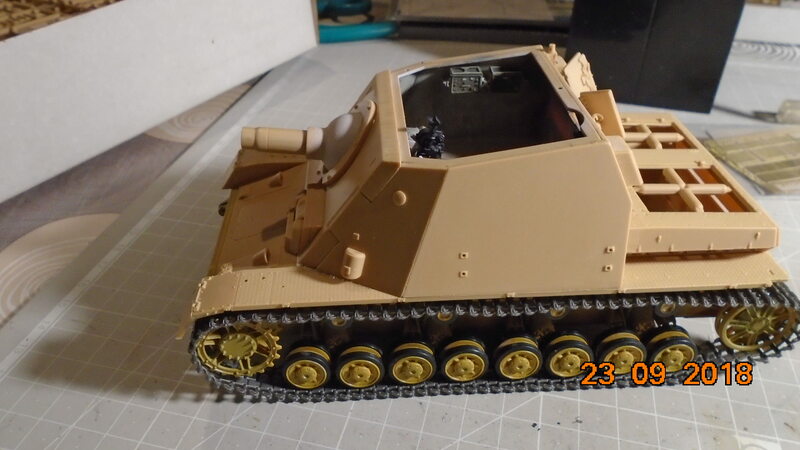 Oliver, the Steyr is looking really good. Nice dusty finish. Due to time limits and lack of decent references, I've decided to just build my Kelly OOB. It looks ok given the scale and will give me a much better idea as to what needs swapping when I get around to building the others. Oliver, nice looking Steyr! Congrats on finishing the campaign! This is the final of my project. Here are the latest photos. I want to say that it was a pleasure for me to participate in the campaign. 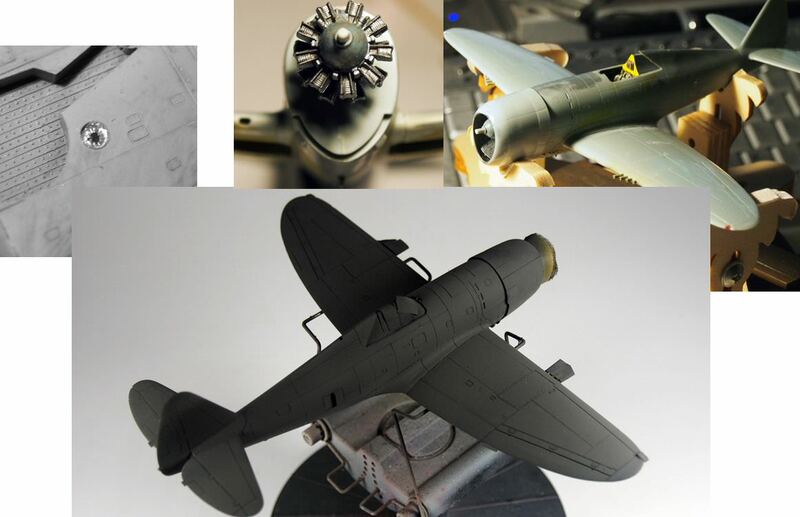 Since the planes are not a priority in the modeling I'm doing, I did not dare to participate with this type of model. I saw beautiful models and learned a lot about the work on the planes. Greetings and success to everyone in the campaign! 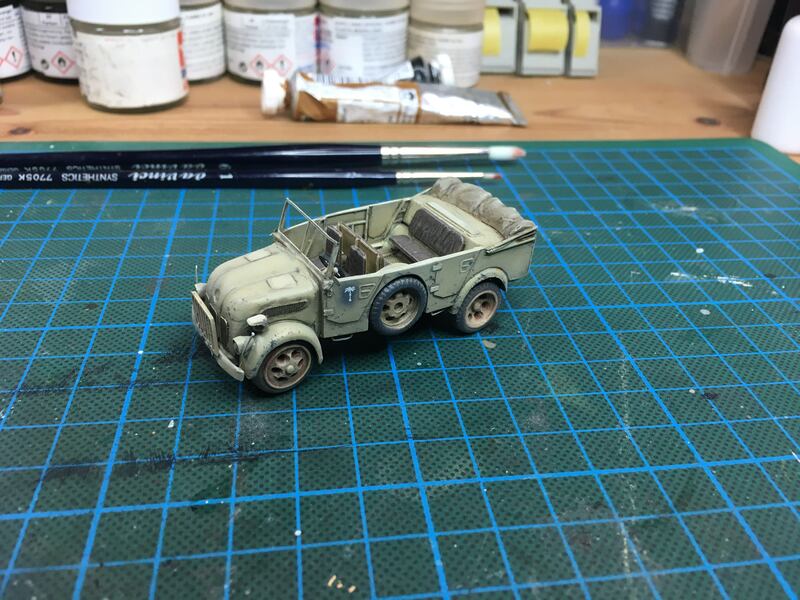 Starting late with this really old Revell 1/72 MC.200. Will be a mostly OOB build with some scratchbuilt cockpit details. And here is a 360 degrees presentation of my completed Picchiatello for this campaign. 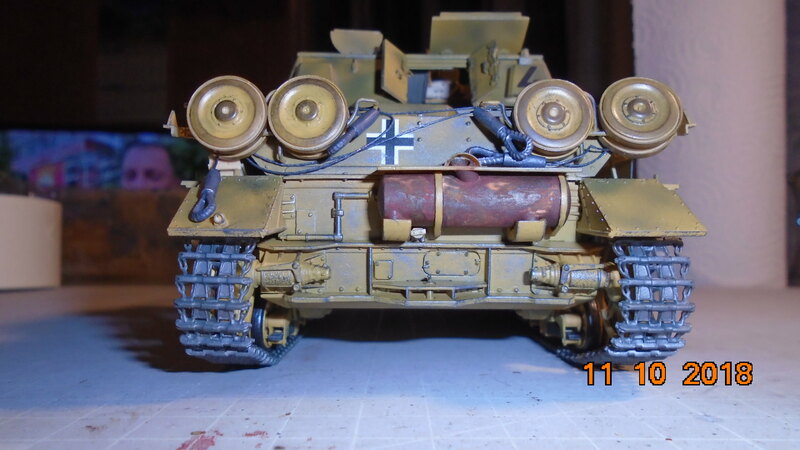 Oliver, beautifully done Steyr with reasonable weathering. Well done & congrats! Kalin, very good work! This turned out nicely, congrats for finishing the campaign. Hope to see you again around. Brian, welcome! An old kit but looks not bad at all. Gabriel, just great and very creative - really love the presentation! Here's a small update for the campaign. More assemblies, first top color coats and some work on fiddling parts. I made some more progress with my Mitchell, painted with Gunze Chrome Silver and polished. Fuselage has still to be polished. Fitting is very good so far. Very impressive work everyone! I really love how these WWII anniversary campaigns are going. Next up will be the Eastern Front. The blue is actually brighter than it looks in the picture. I assume that the blue background is washing it out a bit. Kalin, Stephen, Gabriel and Thomas: Glad You like my little Steyr! 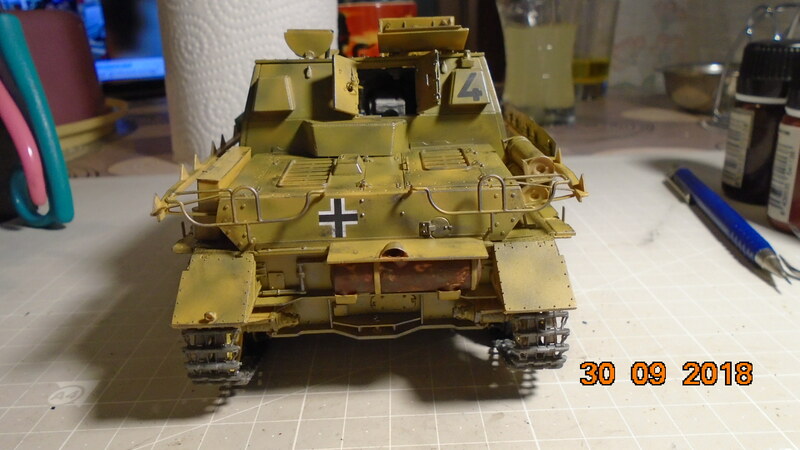 Not yet finished, I will have to to some wipers for the wind screen. 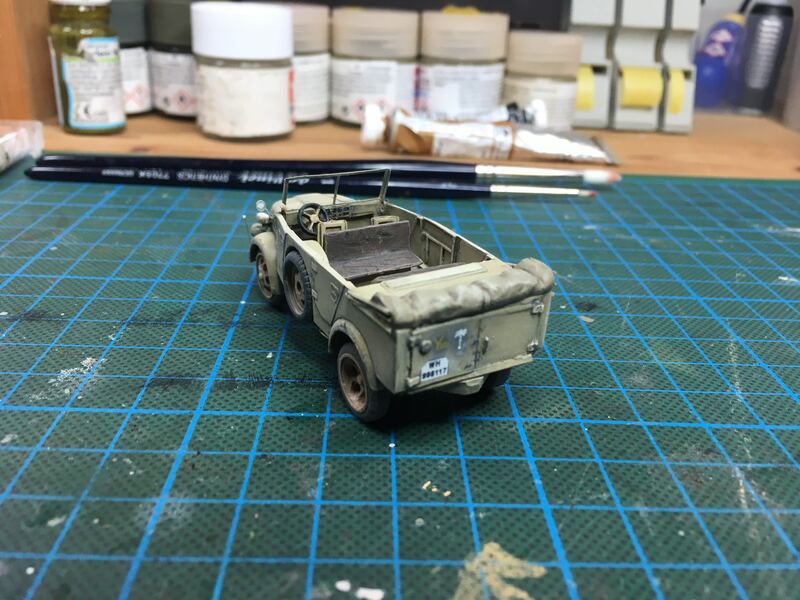 Kalin: Yes, it is the AMC Steyr in 1/72. Normally I am stuck to airplanes, so the color I have chosen may not be 100 %. 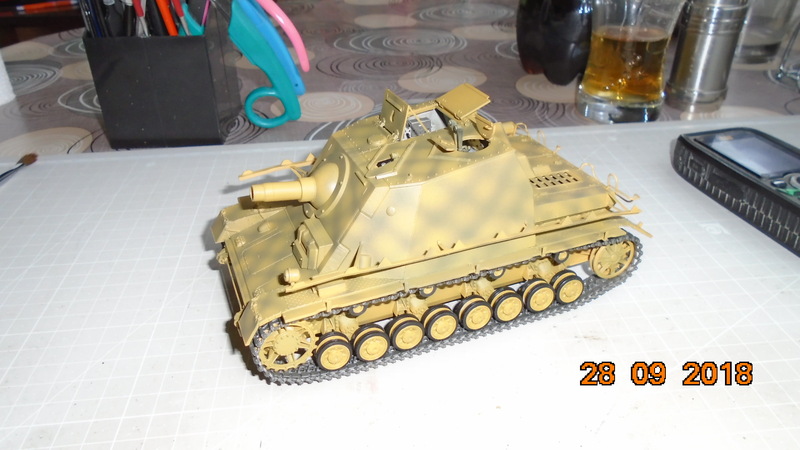 The instruction of AMC said the color should be Dark Yellow, but I chose to mix Tamiyas Dark Yellow with the Desert Yellow (Tamiya as well) and light it up with a little white. By the way, Your Brummbar looks really stunning! Great work! Gabriel: Great presentation of Your model! Peter: Wow, did You paint all the silver paint before assembling? 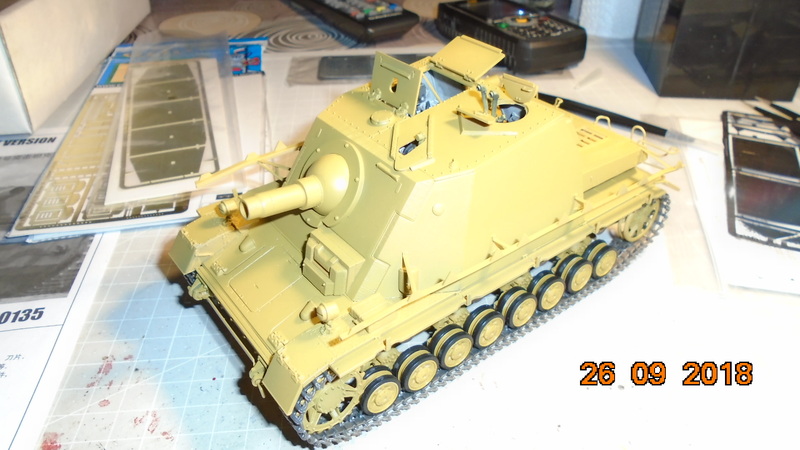 What glue will You take to assemble the parts? which I must store now somewhere. But I'm sure it will work out, just a little challenge more. And mind you, I already used the SAC white metal set for the cockpit and the landing gear plus some lead near the forward wheel well. Peter, I use BB's and white glue on my tricycle a/c. Not sure this helps at this stage. just sneaked in a little less weight than I thought necessary and it seems to be ok now. But I wonder about "BBs"?